To me, newborn sessions are a pure joy. It is best to have our session as soon after birth as possible, and before bubs is 12 days old. This is the optimal time to catch them at their sleepiest and curliest. Once they have a fully belly and are kept warm, they are very accommodating in allowing me to pose them and capture them simply and beautifully. Your newborn baby will only be this tiny for such a short period, and it is something that you will treasure always. To ensure a booking, it is advised that we pencil you in while you are still pregnant, and I ask all of my clients to add me to their announcement email/text to ensure we have a couple of day options for our session. I also keep spots open for last minute bookings, so please contact me to check my availability if you have just had your baby. Unpon booking you will be sent a detailed email including information about what to bring and what to expect. I understand you have just had a baby, and going out into the big world (on which is often your first outing) can be daunting. Don’t worry I have been there, and rest assured I will take wonderful care of you and your bundle of joy. While you sit back and relax with a lovely drink and something sweet to nibble on, you can enjoy the show, read a magazine or even have a sneaky nap yourself! Nothing makes me happier than when clients say they have had such a stress free and fun time, and that the session was easier than they thought it was going to be. Connecting with your photographer is so important, as I am sharing in such a special moment in your life. The very popular digital packages, prints and birth announcements are sold separately. 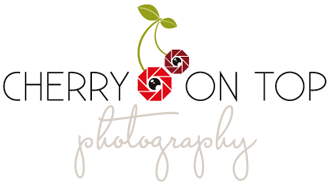 Please email me if you would like to receive my online pricing magazine on Amelia@cherryontopphotography.com.au or use the contact form. I can’t wait to see you in my beautiful natural light studio.